Bracelet: I am ultra fond of my black wrap around leather bracelet. It’s my teensy-tiny bit of Hermes. If I had unlimited funds I would buy a Kelly or a Birkin bag. 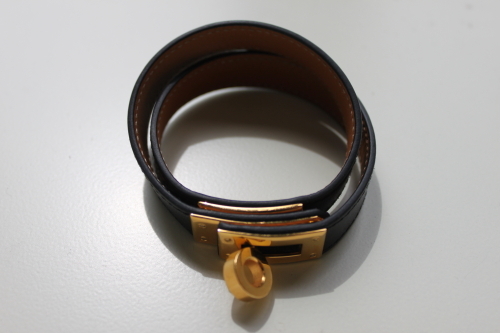 I don’t, so my bracelet is as good as it gets on the Hermes front; it has the same buckle as a Kelly bag. I am not especially not at all elegant but the bracelet is, so it makes me feel more ‘dressed’ when I put it on. I wear it most days, which makes it good value on a cost per wear basis. 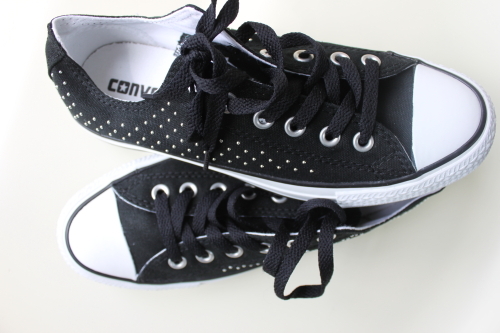 Sneakers: I am a fan of Converse sneakers and I have had several pairs over the years. Not so long ago I put my last remaining, bedraggled beyond belief, pair in the bin. This left me with a dilemma, do Converse sneakers have a cut off age and horror of horrors have I passed it. I was beginning to tend towards the view that I had, when I remembered that I had seen several chic Converse-shod women of a certain age walking around Paris. (one sign from the universe). Then a couple of weeks ago I read this Converse conversation click here on Tish Jett’s excellent ‘A Femme d’un Certain Age’ blog (second sign from the universe). Yesterday when I spotted the studded pair, pictured above, I didn’t wait for a third sign from the universe, I just bought them. Plant: I am keen on having plants about the place. I don’t have a mass of houseplants cluttering up every surface, just two or three at any one time. I love orchids, which flower for such an age and the peace lily (spathiphyllum), which though not particularly pretty, does do the very useful job of removing toxins from the air. 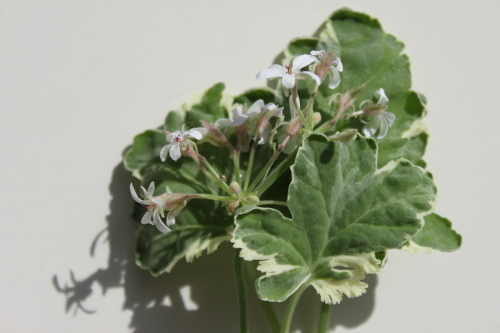 My current favourite is a scented pelargonium. I love the way it releases a beautiful scent when I brush against or rub its leaves.